There are several knee diseases or conditions that can also contribute to chronic knee discomfort. These diseases often affect the soft tissues, joints, nerves and/or bones within the knee area. The most common knee diseases and conditions include arthritis, arthritis-related cysts, infections, calcification and softening of vital cartilage. An overview of each of these ailments can be found below. There are several types of arthritis, including genetic, degenerative and inflammatory. 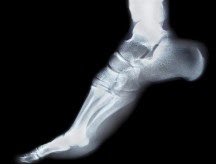 Genetic arthritis includes both rheumatoid arthritis and gout. An individual with these conditions is genetically predisposed to have chronic inflammation of the joint, which can be painful as well as limit movement. Osteoarthritis is the most common form of arthritis and is degenerative in nature. The cartilage gets worn down over time due to repeat usage of the knee joint. Knee arthritis can be treated with an arthritis knee brace or, in very severe cases, knee replacement surgery. In some arthritis cases, the knee’s swelling can lead to fluid building up in a cyst typically located in the back of the knee. These are often referred to ask Baker cysts. If the cyst becomes large and painful, you can have a physician drain the fluid, as well as use physical therapy and medication. Following a puncture wound, a bacterial pathogen can penetrate the knee area through the joint, bursa, bone or skin and lead to an internal infection in the knee joint or bone. While the knee may not experience explicit pain as the result of an infection, the individual may develop a fever, experience chills in their body and a localized heat around the knee. Once diagnosed, these infections are typically treated with a round of antibiotics. Knee tumors are rare, but when they do appear they can impede walking and cause pain. The best treatment for tumor is surgical removal, but in a few extreme cases, it may also require lower leg amputation. The collateral ligament located on the inside of the knee can calcify. This is usually seen in people who have had a significant MCL ligament injury in their past and is known as Pellegrini-Stieda syndrome. The calcification leads to inflammation, but it can be treated effectively with continuous cold therapy, immobilization and rest. In some instances a cortisone shot can help. Chrondromalacia is a condition characterized by the softening of cartilage under the patella (knee cap). It is most often seen in women, likely due to how their hips distribute weight to their knees. When the cartilage softens, it can cause significant deep knee pain as well as stiffness. Most cases of Chrondromalacia are effectively treated with anti-inflammatory medication, strengthening exercises for the quads, rest and cold therapy. About the Author: MMAR Medical Group Inc. is a wholesale medical supplier specializing in orthopedic braces including wrist and hand braces, cervical braces and a wide variety of arthritis and hinged knee braces.